"Art Deco inspired" is my second look in the Lulu's. com project. Mostly, this artistic current is represented by sleek silhouette, clean angular lines, graphic details and a touch of glam with the metallics fabrics. This last one characteristic, metallics materials is what I chose to use to define this artistic current. 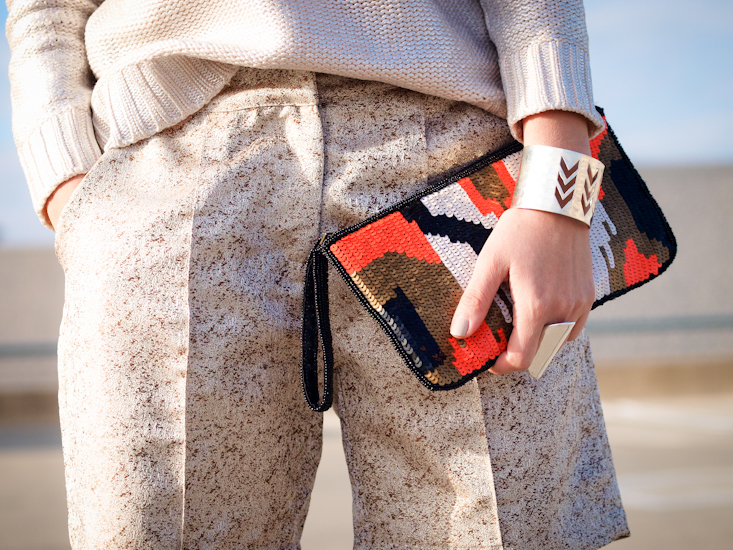 A minimalist look is the result that I obtained by wearing this slightly ornamented bermuda and silver sweater. 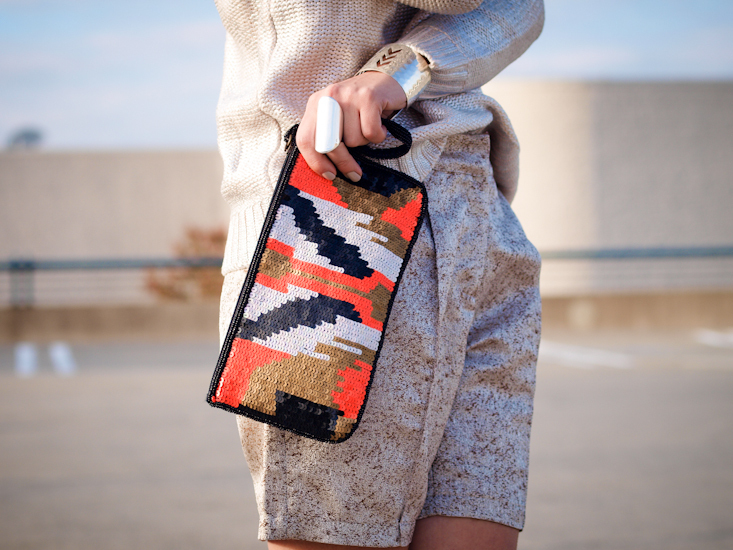 Some geometric elements can be seen in the cuff bracelet, clutch and on the back of my shoes. This was my way to wear "Art Deco" in my outfit. woow you look amazing with that short! you look so amazing!! this look is gorgeous. such a gorgeous look! i love all the neutrals on you! THIS OUTFIT IS GORGEOUS! THOSE SHORTS ARE AMAZING! GREAT JOB ON THIS LOOK! Great outfit! I’m obsessed with Lulus!!! hi, i just recently discovered your blog from lookbook you are such an inspiration. Love love your style you are truly a style icon. Wonderful ensemble! LOVE these shorts! LOVE them! The shoes are cool, too! You look as always so stunning girl! Such a cute look! Loving your sweater and shoes! You pull off the all-neutral look SO well…love the detail on those shoes! Nice and harmony look! I love all your accessorise! those shorts are amazing! Love your look! I love the sweater and shorts together. The heels are so perfect too. The bermuda pants create such a boyish yet feminine flair! Love the subtle shine of the knit and how elegant the whole look emerges! I was looking forward to the ‘Art Deco’-inspired outfit and I love this post! I like the suble elegance of the shimmering fabric and the purse is the perfect colourful touch of the ensemble.